Plastic geonet for gardening purposes helps in keeping your lawn tidy, protects it from wearing and trampling. 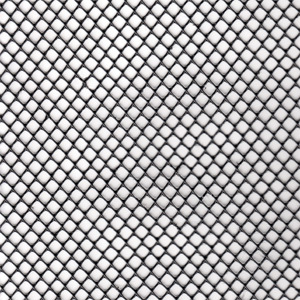 The geonet represents a rough polypropylene mesh with middle-sized holes. It is used to reinforce grassed areas, protect lawns from pesky moles, construct confortable eco parking. • type “Lawn mat” – for the protection against trampling, temporary garden pathways, eco-parking. Polypropylene used for the production of grass geonet is a lightweight eco-friendly material. It allows single-handed installation, mostly due to the compact format of a mesh roll. Its width varies from 1 to 2 meters. It is recommended to buy from us the set of U-pins for the firm fixation on the ground. Protection against moles. The irritating mammals are cut off from access to the upper layer of the ground, which serves them as the main forage base. Having no possibility to reach the ground surface, moles are stimulated to leave the plot. The anti-mole plastic geonets effectiveness exceeds that of another mole protection strategies. Ground reinforcement. Geonet allows even distribution of load on the ground surface, averts holes and ruts formation. Grassplot firmness. The sward grows through the mash holes and knits with the filaments. Thick structure is formed of grass, soil and net, that eliminates accidental pulling out of wisps of grass. Anti-mole protection grass net is offered at a very affordable price. For the creation of comfortable and neat pathways, walking area or private parking near the place of residence one should surely use the polymer ground geonet “G-32” or Lawn mat. 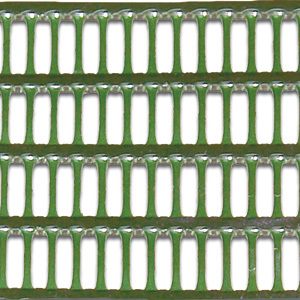 This green-colored geonet must be applied to the existing grass cover. enjoy your newly renovated lawn! The plastic geonet, laid over the grassed areas such as a parking lot and a walkway, reduces the intensity of external impact on grass cover, rules out the possibility of pulling plants out from the ground. It reinforces the ground, prohibits the formation of holes in a lawn or a parking lot after heavy rains. A car may cross such grassed spot and leave no tyre marks on it. The cover helps to keep boots clean after walking on the rain-sodden ground. At the same time the mesh is almost invisible, as it’s colored green. And the grown grass thoroughly hides the installed geonet. Lawn mat is more durable than the geonet. It withstands heavier load, which ability allows using it for building a parking zone, making temporary protection of lawn against trampling while holding a mass event or a celebration.